We love reading lists! They are great to plan your reading ahead, read the books in a series in a right order, and discover new titles. 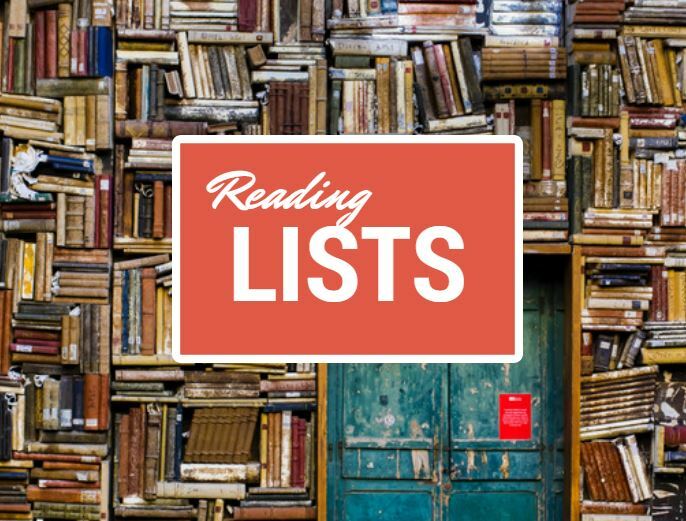 Telling the truth the reading lists make a huge contribution to our growing TBR pile! 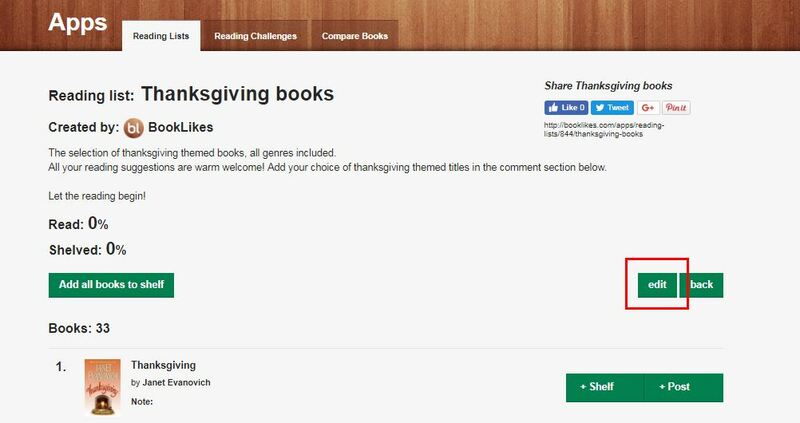 Let's have a look at BookLikes reading list option by creating a Thanksgiving themed books reading list! Ready? 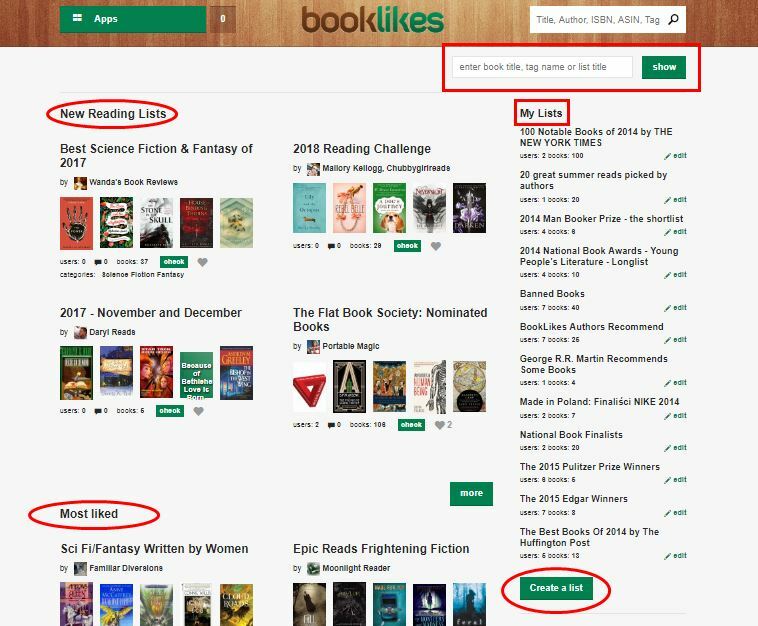 Where to find reading lists on BookLikes? That's easy. 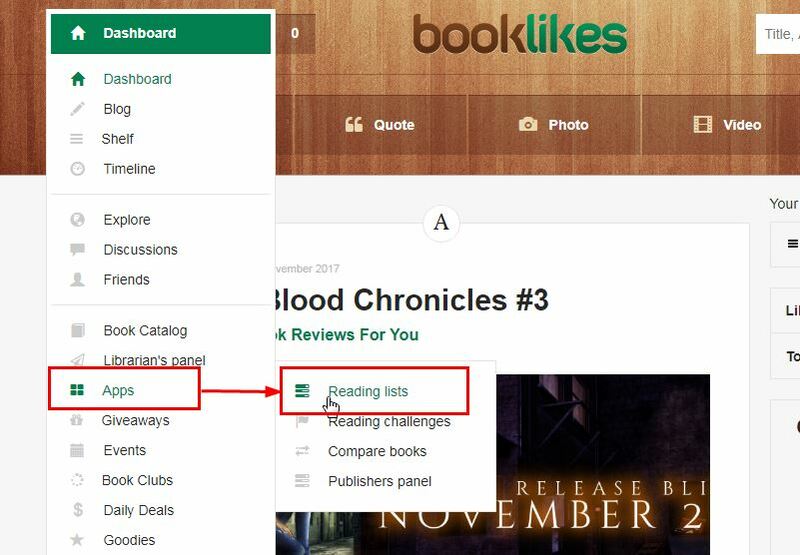 When you're logged into your BookLikes click the main menu on the left, hover over Apps and click Reading lists. On the right you'll see the lists added by you (you can edit them anytime) as well as the spot to create a new list. 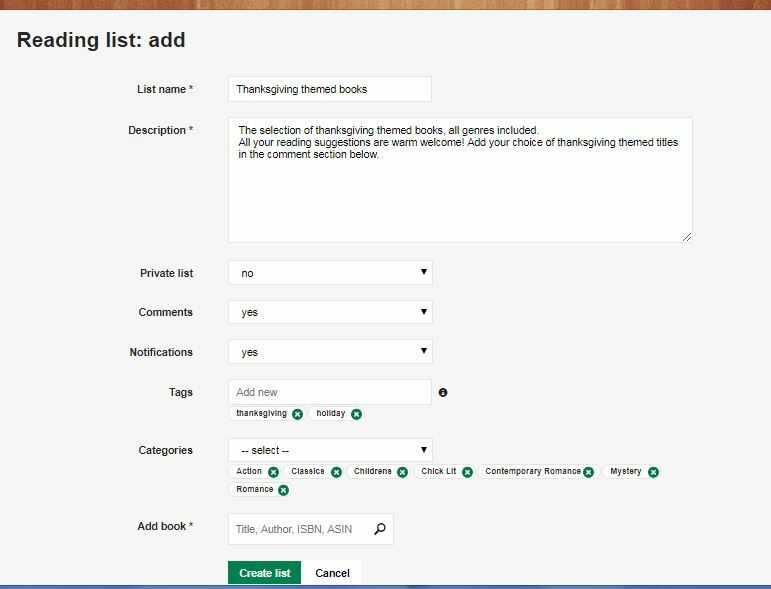 Important: a reading list is always linked to a person who added the list and only the list's creator can edit or delete the list. You can, however, use the comment section to add you own ideas and start a reading list discussion. When you click on one of the lists' sectors (the ones we discussed above: new, most liked, created/picked by people you follow) you'll see the view with the additional reading list options. 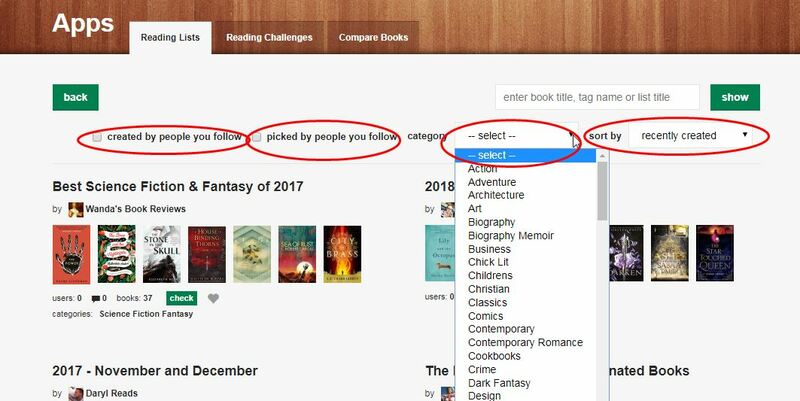 You can filter the reading list by the category/tag or find the lists added or selected by your friends. You can also sort them by the list name, add date, number of books, popularity (members signed in) and the number of likes/hearts. When you spot a list that you find interesting, click the list title to view all the book selected for the list. 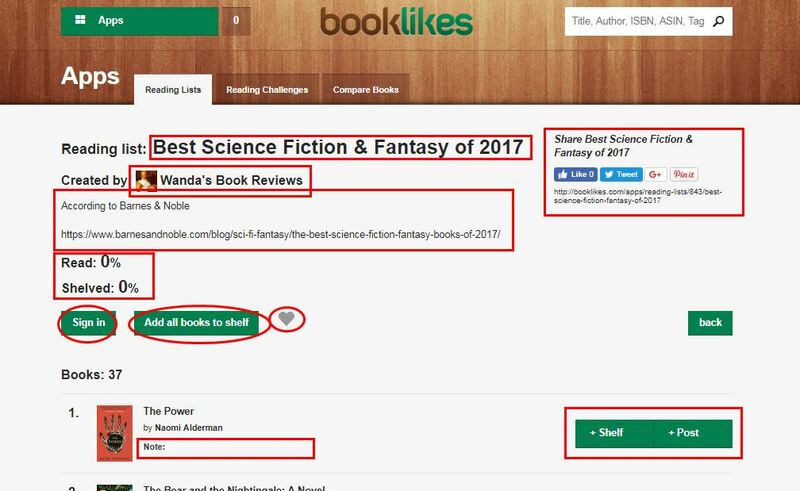 How to add a reading list on BookLikes? To add a new reading list go to the Reading list page and click Create a list on the right. Along with the books you can also add a short note refering to the given title. It can be a short review, a quote, a sentence of recommendation or simply why you like the title. 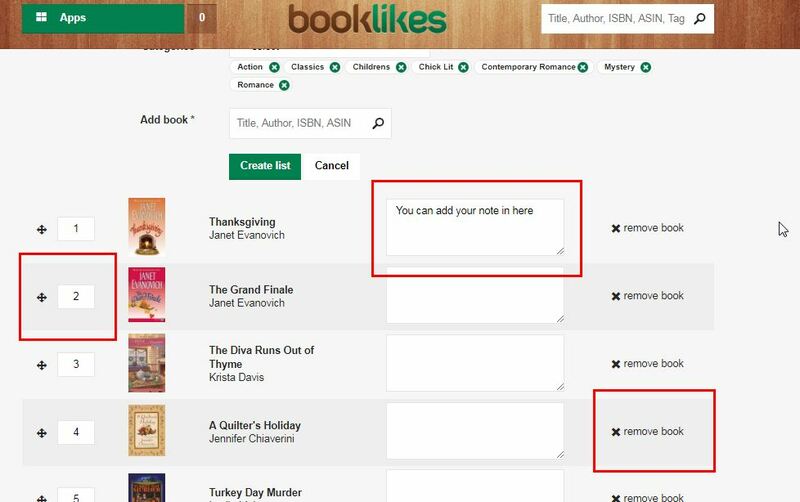 You can also change the order of the selected book or remove the title from the list. When you're done don't forget to click Create list at the top. 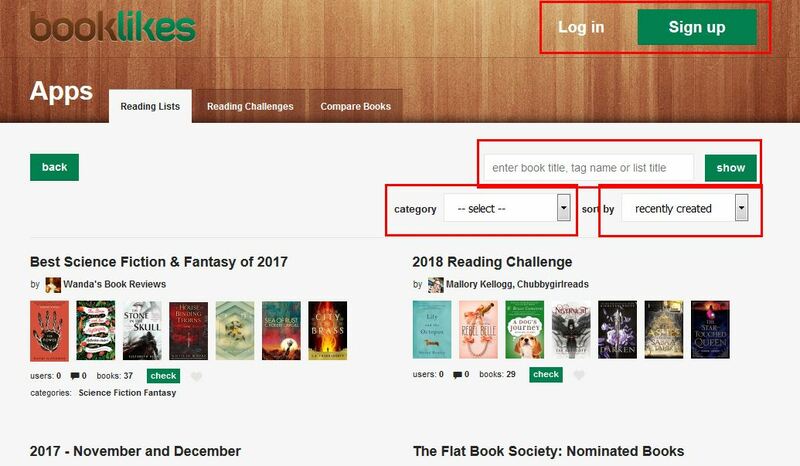 If you wish to edit the list in order to change the description, add/remove books, change the private settings, go to your reading list OR go to your list of lists on the main reading page on the right and click Edit. Remember to go back to the top to SAVE all the new edits done to your reading list. Once the reading list is ready you can share it on your social media channels, you can also send the reading list link to your friends seeking reading inspirations -- the reading list will be visible for non-BookLikes members. In fact, all reading lists are visible for non-BL members. The reading list main page presents all the lists with the list searching and sorting options on the top of the page. 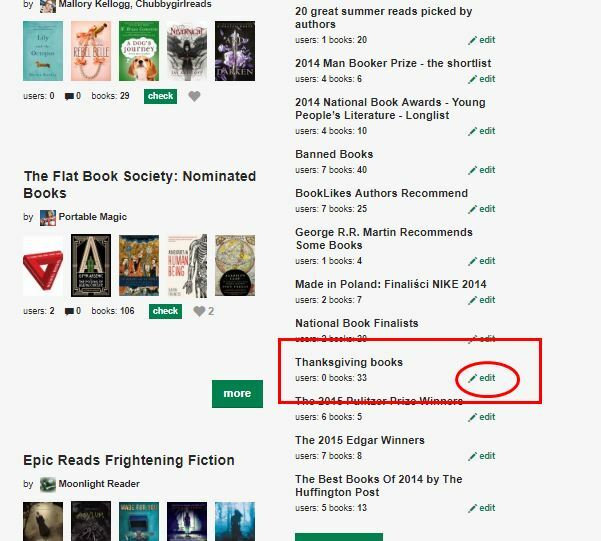 And don't forget to check the Thanksgiving reading list!